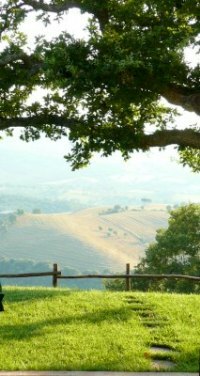 Tuscany farmhouses - rent a rustic home in the lush Italian countryside! Here, in the countryside of Tuscany, you can have a direct experience of Italian history and also experience the sweetness of line in the extraordinary cuisine and wine that originated here. Tuscany is one of Italy's richest regions with an impressive collection of artistic masterpieces and a fascinating history. During your stay here, you can see evidence of its foundation in the Etruscan period, its defensive military power during the Roman era, and its cultural awakening in the Renaissance. This is a place of great natural beauty, so thing about taking your car or bicycle to ride over the hilltops adorned with Cyprus trees and stop to stroll through one of the rustic villages that offers charming shops and restaurants as well as beautiful churches. Michelangelo, the Medici family, and Leonardo da Vinci are only a few of the influential people who have nurtured Tuscany with their genius and grace. A Tuscany farmhouse places you in the midst of this diverse region and hands you the key to exploring all that Tuscany have to offer. Walk the beaches of the Mediterranean , run through fields of sunflowers, or wind down an endless mountain road lined with vines filled with grapes. The hill towns of the Chianti region and the wine capitals of Montalcino and Multipulciano produce some of the most treasured wines in the world. In an atmosphere of relaxation and rejuvenation, the towns of Tuscany will provide a soothing and stimulating holiday filled with delicious food, cultural richness and great fun. Your own farmhouse, with its quaint and authentic charm, echoes the stories and traditions of the families who have lived within its stone walls for centuries. This vacation home can give you the freedom to pick and choose your favorite villages, wines, and foods in an area that has been so blessed by nature. So, settle in to your Tuscany farmhouse, enjoy the view of rolling hills and cherish the beauty of life just as the Italians do! 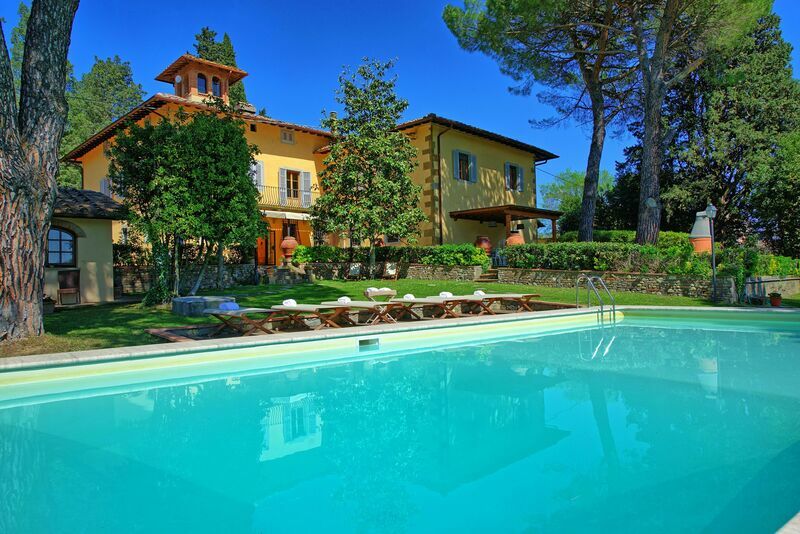 We like to make the process of renting a Tuscany farmhouse as simple as possible. You can select a property yourself and request a hold, or consult with our specialists. Search for a Tuscany farmhouse by area - Start with our easy search screen and look by availability dates and preferences. When you see properties you like, send us an inquiry or reservation request. Want to consult a Tuscany expert? Fill out our contact form - Let us know a little about what you are looking for and we will get back to you with our own ideas and comments.